"I didnât expect it to grow this big," Grace Lee, the serial restaurateur who birthed the Kko Kko brand, said during her talk at the Globe myBusiness and Summit Media's Philippine Entertainment Portal (PEP)'s event, Star Bazaar last August 17. You've probably seen the viral images of Kko Kko s banner item: delicious, classic Yang Nyum chicken and cheese fondue. As she continued her talk though, it was clear, that Lee didn't just stumble into success. It took a lot of chutzpah and preparation to get to where she was. Thankfully, Lee was generous enough to share her secrets to success. 1. Know what you're getting into: "It's not just about food, it's about marketing"
This was one of Lee's first points in her talk. She quickly wanted to dispel the notion that the food business was just about being good at cooking and loving food. Sure, that's what inspires you to do it, but it's not what will propel you to success. Food businesses are way more than that. It takes a lot of work, especially marketing. 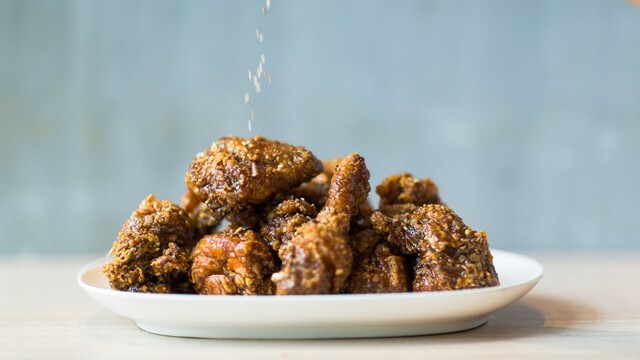 After all, you could have the most delicious chicken in the world but still struggle with the hardest hurdle: how to get your customers inside your restaurant to actually try your chicken. IMAGE Courtesy of Kko Kko. When Lee and her mom were creating their menu, they weren't just thinking of their preferences. The goal was clear and informed from the start: they needed a Korean brand that would appeal to the Filipino taste. Choosing the banner item then came in the same way: What do they know about the Philippine market? When they began, the market was already saturated with Korean barbeques. So they had to find a way to bypass all that competition and come up with a new angle. They wanted something different. Wanting to set themselves apart, they pushed for Korean chicken and another sure hit element: cheese! Another factor why they chose Korean chicken and cheese was their specific target market. They knew that Filipinos were riding the Korean wave. They anticipated trends like the rise of chicken and beer. In China, the k-drama called My Love From Another Star made headlines because of a food craze. 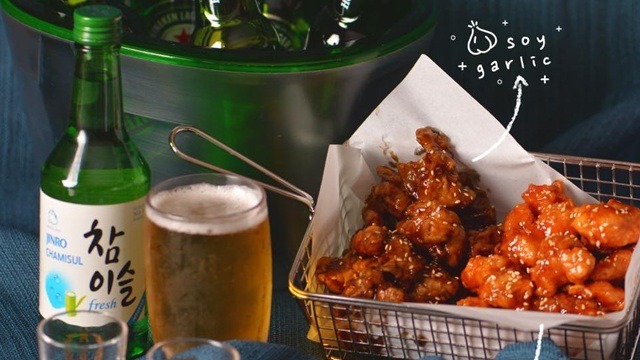 In one of the scenes, the leading lady, a beautiful woman who was always on a diet, had just come from the hospital when she decided to indulge in her favorite meal combo of chicken and beer. It made the nation's mouth water. Lee knew this was affecting the Philippine market as well so she grabbed the opportunity and got free marketing through her insanely Instagrammable chicken and beer. Thanks to this, Kko Kko's banner item quickly grew viral. Lee emphasizes that point when developing your recipe: make it 'gram-friendly! When Kko Kko began, it was a new, untested brand. In order to cross this hurdle and get people to try their food, it wasnât just about being an online hit. They also needed to tap the right demographic. When they gave away promos, they were investments. It got large groups to come into their restaurants. People who wouldn't normally buy into their price range got to go and invited friends who could. In each of those large groups who ate through the promo, they got repeat customers paying the regular price. Another way Grace Lee got to dress up their menu itemsÂand invite people to come try their food is illustrated by their Dojirak, lunchboxes that you shut the lid and then vigorously shake, almost to the point of dancing. The lunchboxes are something from Lee's childhood. Crossing it over to the Philippines however, she knew that her own nostalgic memories would not translate to the Filipino experience. She had to introduce the concept along with a spectacle of customers shaking the contents of the dojirak before eating it. "It's a gimmick that serves two purposes: it mixes the food for the best taste, yes, but it also generates interest. As the customers shake their lunchboxes, busybodies, onlookers, and other potential customers can't help but be curious and perhaps come over and try it for themselves. Who can resist cheese that stretchy? 4. Work on your product: "You should be your number one fan!" Before the mouthwatering viral pictures of Kko Kko's stretchy cheese graced our mobile screens, they first had to fully develop their product. Lee had her culinary experience while her mom and business partner Song Soon Il trained in Korea for a year. There, they looked into Korean brands they knew could work well in the Philippine market. At that time, they couldn't afford to just franchise an existing Korean brand. So, after getting inspired, they had to fully develop their own recipes into perfection. Just perfecting the chicken batter meant they had to eat a hundred chickens. She made it a point to never say puwede na âyan. They had to find the perfect balance of a batter that was light, thin, and crispy which would go well with their sweet, salty and spicy sauce. By the end of it, she stopped eating chicken for six whole months! Whenever they'd go out and the "Where will we eat?" question popped up, her one condition was, "Basta hindi manok." The food and beverage industry is one of the most complicated sectors because as Lee says, "sobrang daming variables." Once your business is up and running, you'll have to be at your restaurant daily and be vigilant with your people. Even well-meaning staff can cover up little things which would eventually pile up. Even after you've done your best, all that's really left to do is to brave the risks and pray.